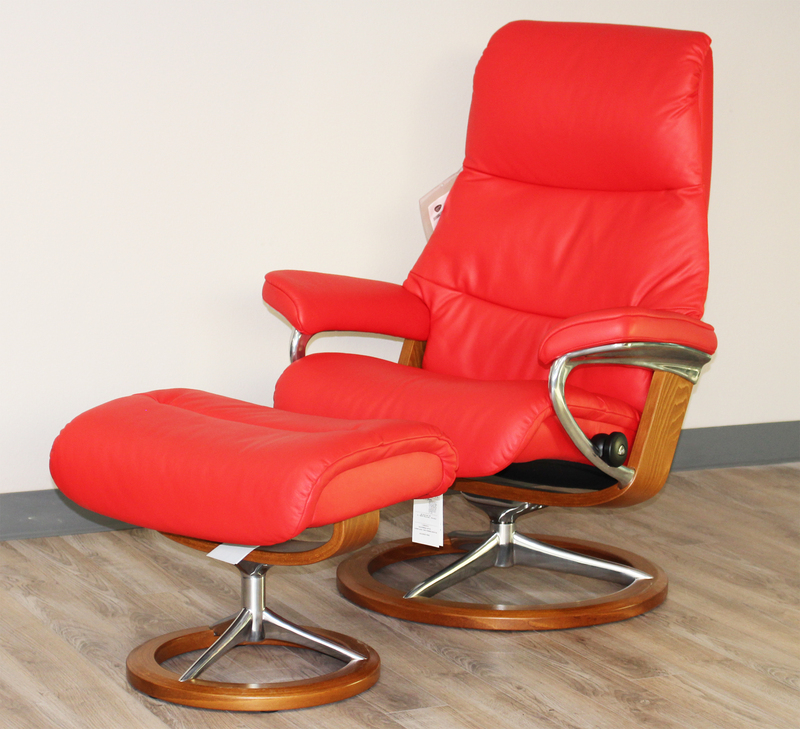 Ekornes Stressless View Signature Base Medium Paloma Tomato Red Leather Recliner Chair and Ottoman. Stressless View Signature Base Medium Paloma Tomato Red Leather Recliner Chair - Stressless View – a soft and timeless recliner Stressless View has ample cushioning, while retaining a timeless and modern pillow design with sleek contours. This model has a longer and slimmer back, great for those of us who carry a few extra inches. 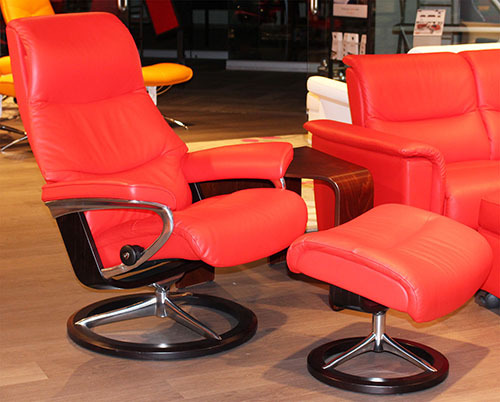 The recliner also has an elegant and comfortable neck support, which can be adapted to users of a variety of heights. 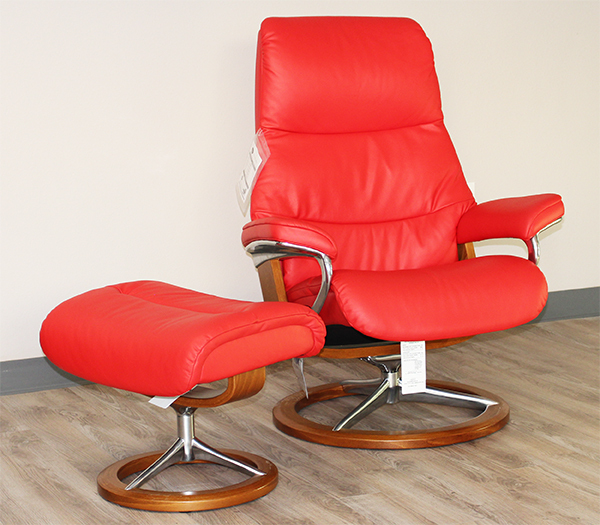 Our Stressless View Signature Base Medium Paloma Tomato Red Leather offers durability and a sensible price point It will withstand wear and tear over the years developing to a soft patina, natural to aged leathers. 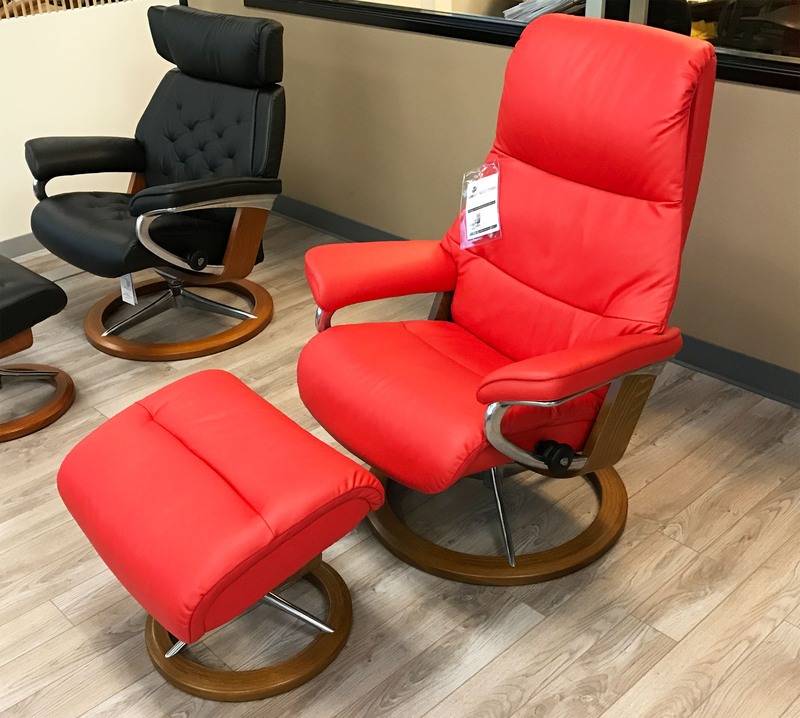 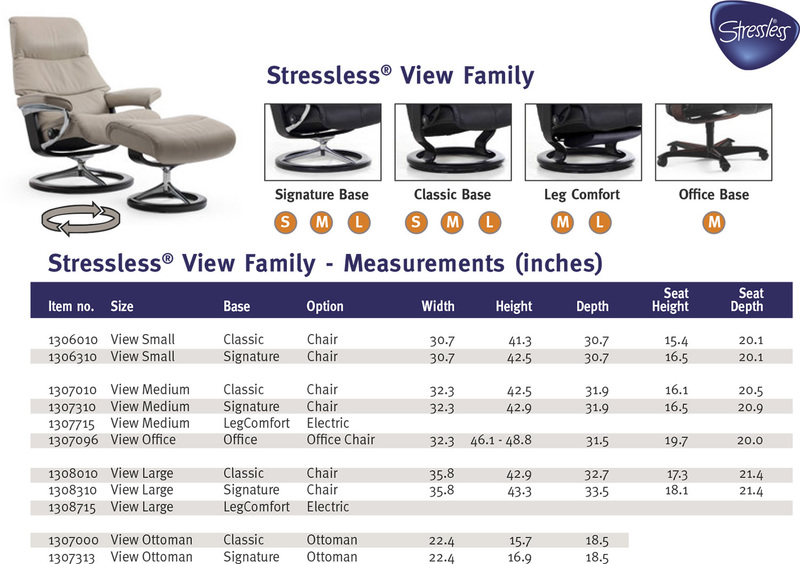 Stressless View Signature Base Medium Paloma Tomato Red Leather is specifically processed to be resistant to fading in natural lighting with a heavier protective lacquer coating that is designed to make cleaning easier. 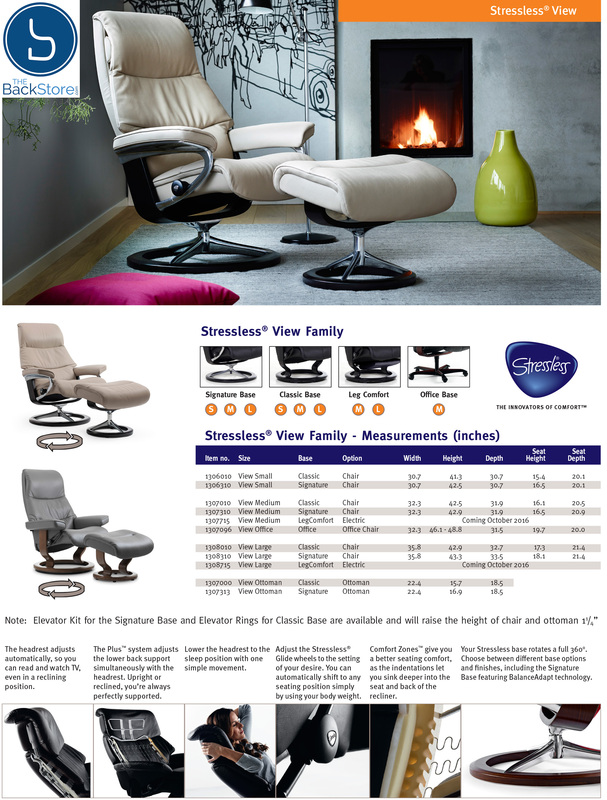 This is an excellent choice for families.